If you haven’t already noticed, there’s been a LOT of announcements and press about change in the Dynamics platform over the past year. Dynamics 365 Version 9.0 has lots of goodies aimed at improving your workflow, usability across devices, and introduces the first few steps into the world of Artificial Intelligence. Here’s a summary of what your upgraded environment will now include. If you’re a System Administrator, you should already have been receiving notifications or emails in the Office 365 Message Center that you now have the ability to schedule your upgrade for a time/day that suits your organization. 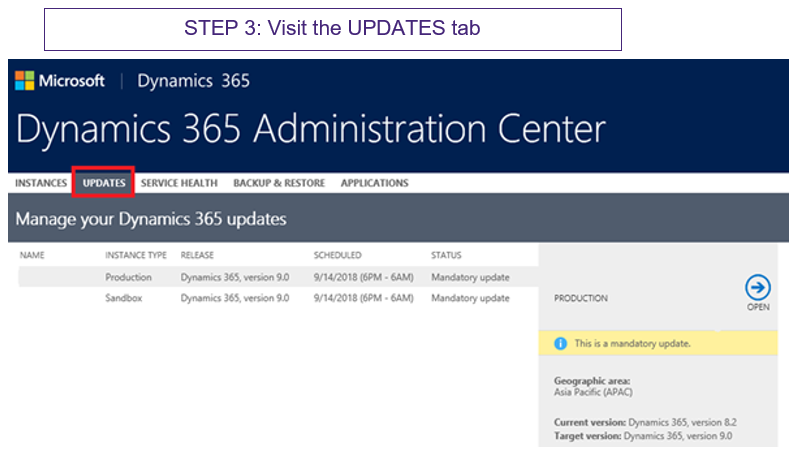 IMPORTANT NOTE: Dynamics 365 8.2 (Online) will no longer be supported starting February 1st, 2019, and an upgrade to version 9 is mandatory for customers using 8.0 or 8.2. Encore strongly recommends upgrading to the latest version to not only avoid supportability issues, but to ensure compatibility with other Microsoft products such as Office 365. How concerned should we be about the upgrade process? 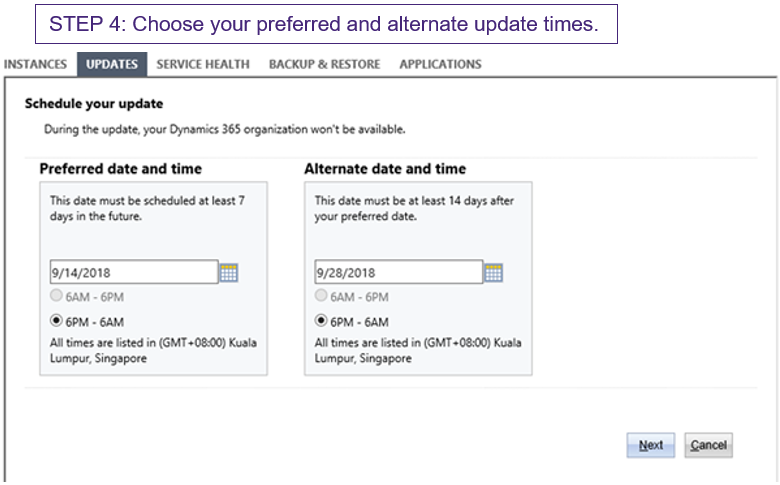 If you are new to upgrading Dynamics 365, you’ll be delighted to know that the only decision most have to make that could be considered a “big rock”, is choosing the time and day for that upgrade to occur. The actual upgrade is zero-touch on your part, as it is completely automated. If you have integrations in place to external systems or a great deal of custom development (you’ve created plug-ins or custom workflows in C#) that you’re not sure about, we suggest giving us a call to determine whether forward compatibility of those integrations might be affected. In general terms, features and fields that are not going to be supported in the long-term will be deprecated first (flagged that their life is limited) for at least one release before they are removed. Let us help you discover if deprecation affects you. Scheduling your upgrade couldn’t be easier. 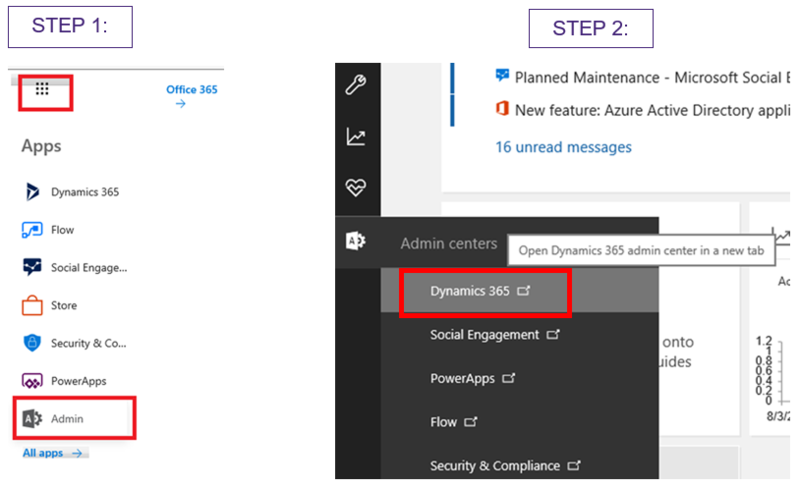 Just visit the Dynamics 365 Admin Centre, and look for the “Upgrade” tab (see screenshot below). Within the Upgrade area, you’ll be given a choice to separately schedule it for each of your instances (ie: production, testing, sandbox). Encore STRONGLY recommends upgrading your sandbox or development environment(s) first to be able to audition the changes. This will also allow you to test your integrations and custom code to ensure stability. It will also allow you to assess the impact to your users, and if necessary, develop training materials or update your SOP (standard operating procedures) document. Note that a fixed number of Dynamics organizations can be upgraded at once, so think of your scheduling as first-come-first-served. Picking “tomorrow” as upgrade time a) isn’t prudent, and b) won’t be available to you since all available timeslots will be claimed. Encore recommends choosing a time at least two weeks in the future unless you need longer to adequately test your customizations. Need more help? Send an email to Encore Care (care@encorebusiness.com) to enlist the help of an experienced Dynamics 365 consultant on our team to guide you through the process. Eliot Pister has been specializing in the design and development of custom CRM systems since 2001. In addition to his advanced technical skills and Microsoft Dynamics CRM expertise, Encore clients appreciate that Eliot has also been a business owner with experience spanning sales and marketing, financial management, business development and project management. He is able to offer a broad perspective to ensure Dynamics CRM is an integral component of an organization's overall success.